Hello, Thus is kind of far of our normal blogging tips here. 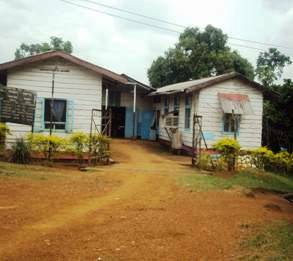 We took a visit to the Mukonje health araea in Cameroon. We discovered it is an area where business is doing great in this area. The main activity bringing money in this area is Agriculture with the major firm being the CDD( Cameroon Development Cooperation). We did not focus on the business activity in this area, instead we got interested on how the inhabitants are coping in terms of health and technology. Surface area: Mukonje health area covers about 340 km of land with a very uneven terrain marked with level land and valleys. The area is bounded to the North by Mambanda/Mukoje villages, to the South by river Mungo, to the East by Teke village and the government reserve area and to the West by Ntam health area. Rainfall: rainy seasons are characterized by heavy rainfall. Averagely the area registers about 258 mm or rainfall per annum. Communication: the means of communication here is by roads while telecommunication here is through mobile telephone. No internet facilities. wards of the health centre. It is the first department of the health centre. It operates from Mondays to Saturdays with visiting hours from 9 am to 9 .30 am in the mornings and 3 pm to 6 pm in the evenings and on Sundays and public holidays from 8 am to 10 am in the mornings and 3 to 6 pm in the evenings Patients who come for consultation sit outside on the consultation bench. On each consultation day the nurses carry out patient teachings before they begin consultation. It is found in the same block as the OPD and they dispense drugs to clients. Drugs are arranged on the counter in alphabetical order. It is found in the same block as the OPD and they perform diagnostic test. It is headed by a trained laboratory scientist. They perform the following; hematology, Tuberculosis screening, culture of specimen, malaria and typhoid diagnosis and HIV screening. It keeps record of all patients’ medical records and information. The computer is used for billing non CDC workers. This department takes care of pregnant women, breastfeeding women and infants. It also takes care of preconception care, antenatal care, postnatal care, family planning programs and infant and welfare programs. The theater is not functional on normal days. When patients who consult require operations they are registered and when the numbers of patients are up to twenty and above a complete surgery team from Tiko come to the health centre during which they carry out massive operations for about a week. Emergent cases are referred straight to the cottage hospital in Tiko. The kitchen in the health centre is in charge of feeding the hospitalized clients. The laundry room is in charge of the laundry of the hospital bedding and materials. The mortuary embalms by injecting them with formalin. The corpse can be kept for 3-4 days. The inhabitants of Mukonje play an important role in the functioning of the health centre. Even though CDC workers are treated for “free” they have certain contributions to make that help in the functioning of the health centre. Every person in the family pays 90 francs as medical registration. Children 21 and below who are dependent on CDC workers are treated for free in the health centre. But this free treatment is for minor ailments. 800 francs is deducted every month from the salaries of CDC workers as contribution to health care. 300 francs is deducted per consultation from the salaries of CDC workers. Non CDC workers and other patients who are not dependent on a CDC worker pay the full charges for their health care. 1. Some clients are poor and unable to afford for drugs. 2. When the health centre runs out of drugs the clients will have to wait for the next session of drug distribution in the health centre so some clients prefer to go and consult in kumba. 3. Some people such as those in Bakossi camp complain that the distance to the health centre cost a lot and so they prefer to buy drugs from hawkers. 4. Non CDC workers such as those in Mundame village were not formerly welcomed in the health centre and so they developed the habit of not going to the health centre.